Pre Sale Tickets On Sale 10am Thursday 12th December! 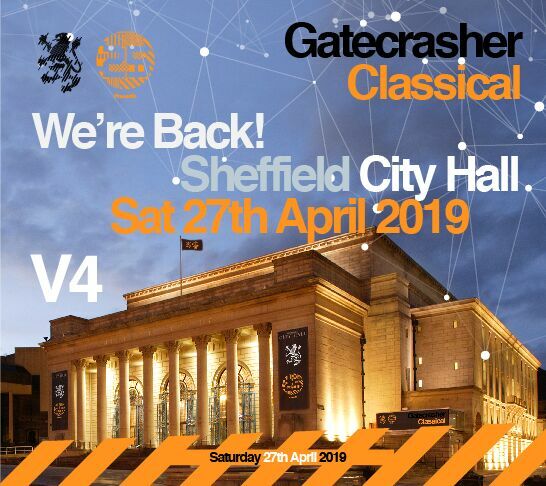 Gatecrasher are pleased to announce, they will be back by public demand to Sheffield City Hall for Gatecrasher Classical for 2019 on Saturday 27th April. Due to limited capacity and high demand from the last events, Gatecrasher are urging fans to sign up for exclusive access to pre sale tickets. Please sign up to avoid disappointment! VIP Ticket Packages also available which include VIP entry, VIP Room Pre Party, Limited Edition VIP T-Shirt + a VIP Lanyard. Sign Up Now for access to Pre Sale Tickets.